Sorry, this Irish tea pot ornament is now sold out. 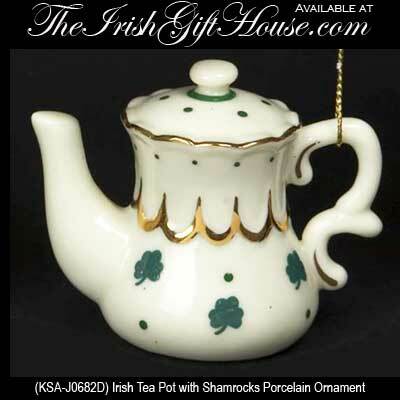 Irish Tea Pot with Shamrocks Porcelain Christmas Tree Ornament. Hand Painted White Porcelain with Green Shamrocks, Ready to Hang. 2 1/2” Tall x 2 3/4" Wide, Gift Boxed.